I developed and teach an introduction to embroidery tutorial. In this two-hour workshop, students learn the basics of embroidery, including threading the needles, tying knots, transferring designs onto fabric, and basic embroidery stitches. 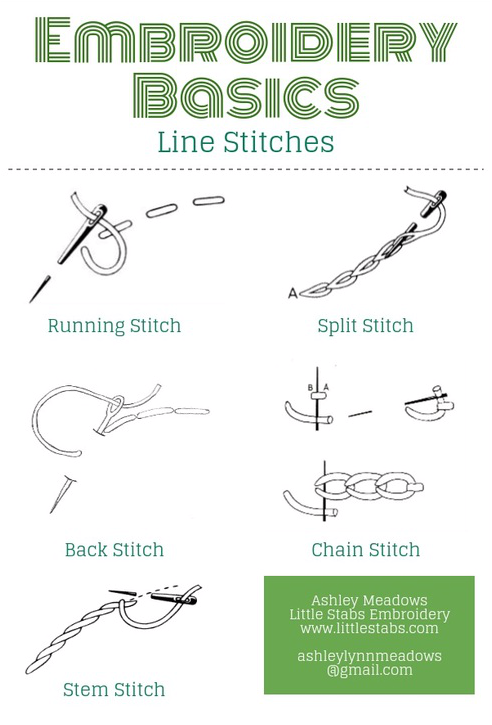 The first half of the lesson focuses on stitch instruction, while the second half focuses on beginning a project. I teach embroidery through Bits of Thread, Knowledge Commons DC, and privately.